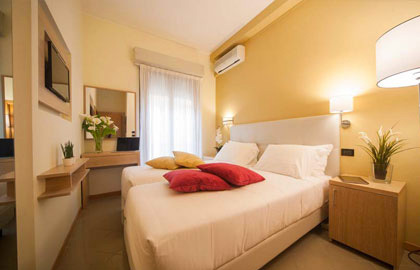 The villa of the Ostuni hotel in Rimini is 10 meters from the hotel. For a stay under the banner of privacy and tranquility, we present the Villetta di Hotel Ostuni. A stone's throw...really two from the sea! Access is private: you will independently manage the keys to access the structure, but the catering, the beach and the services are the same as those of the Hotel Ostuni. In the Villa there are two types of rooms: COMFORT and SUPERIOR. Those staying in the Villa can use the "half board" or "full board" service at the hotel. 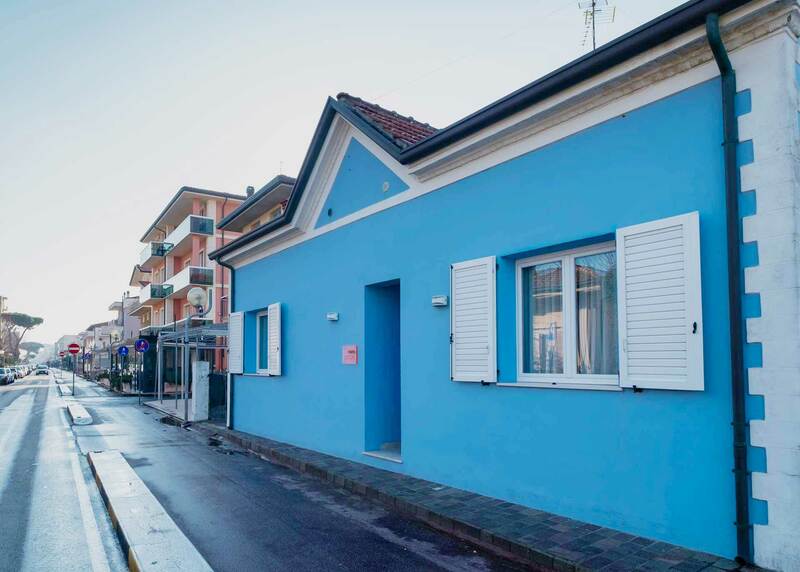 Quiet, tranquility and choice...the services, all just 10 meters from the sea. 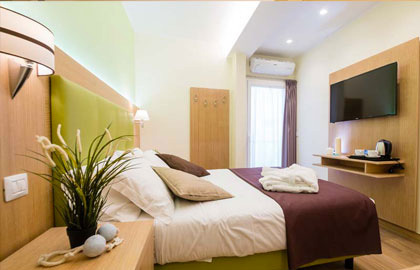 They are our best rooms, completely renovated with care and originality, equipped with all modern comforts. In addition to all the services of the Comfort rooms, they have a mini-bar, a comfortable coffee maker, a large LED TV, a personalized courtesy set, and soft bathrobes on request!